Things don't look good for the lowly Pittsburgh office worker who calls himself Yunko. First he loses his job and then he loses his apartment. He has little savings, few skills, and zero prospects. And so when his friend Ducky turns up, dangling the prospect of a lucrative theft, Yunko decides it's time to go back to what he's always done best. The job Yunko and Ducky have Things don't look good for the lowly Pittsburgh office worker who calls himself Yunko. First he loses his job and then he loses his apartment. He has little savings, few skills, and zero prospects. And so when his friend Ducky turns up, dangling the prospect of a lucrative theft, Yunko decides it's time to go back to what he's always done best. The job Yunko and Ducky have been offered is laughable in more ways than one. A nasty billionaire's vengeful ex-wife has stolen his beloved pet. The billionaire has hired a corrupt former city official to steal the dog back. The official wants Yunko and Ducky's crew to do the actual dirty work. It may sound simple but it's not going to be easy. Yunko spends as much time bickering with his quirky cohorts as planning the job. And then the theft goes wrong and the dog escapes, beginning a twisted odyssey that will take it from the home of a crazy neighbor to the unfriendly confines of the city pound to a heavily guarded country estate -- and beyond. If they ever want to get their money, Yunko and company will have to steal the dog again...and again...and again, even while their handler plots to betray them and private investigators hunt them down. 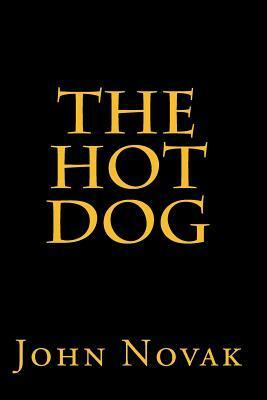 Inspired by Donald E. Westlake's The Hot Rock, the book that brought us Dortmunder, The Hot Dog is part comic caper, part satire of "A Most Livable City," and part absurdist commentary on the modern age of (mis)communications.